Bird numbers were up yesterday on the 'patch' with a few new migrants in. An immature little Egret was on the percolation pond and three Barn Swallows were flying over. 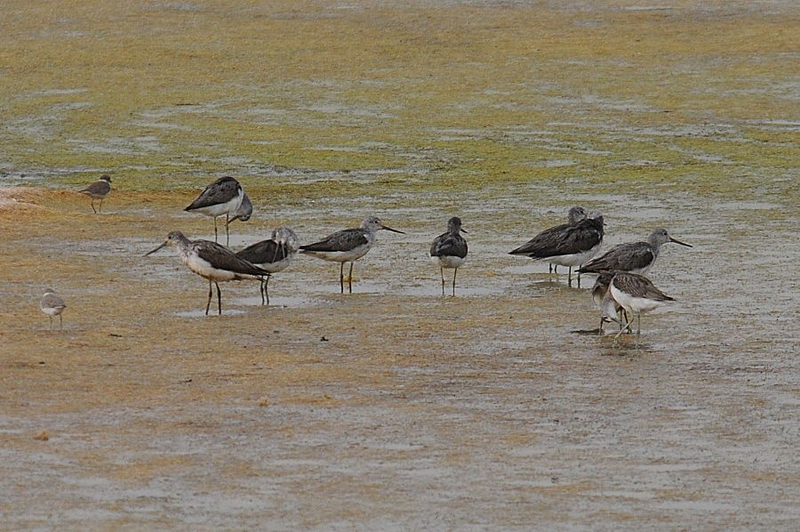 Up until today I had only seen three Greenshank in the camp and all of them where single birds but today there was flock of thirteen birds present on the percolation pond. 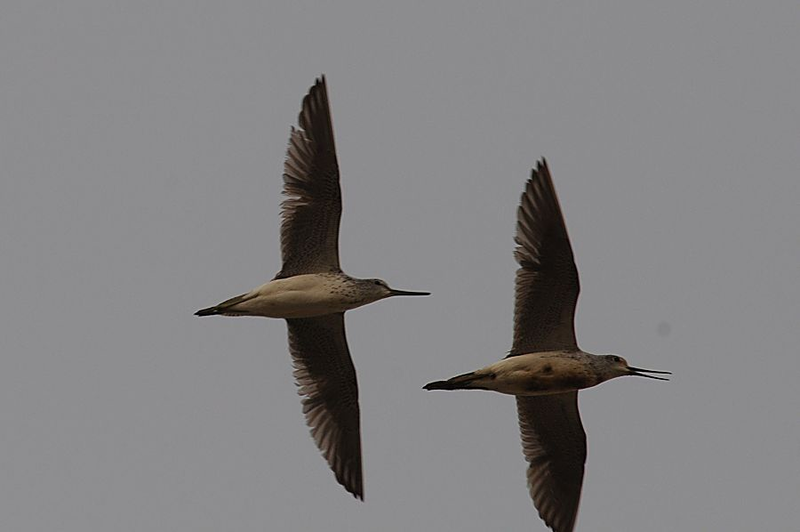 Unfortunately, like most birds, they did not stay long before flying off somewhere else. Also present on the same site were thirty one Little Stint, eighteen Wood Sandpiper, two Ruff, twenty six Black-winged Stilt, thirty six Kentish Plover and twenty one Little Ringed Plover.